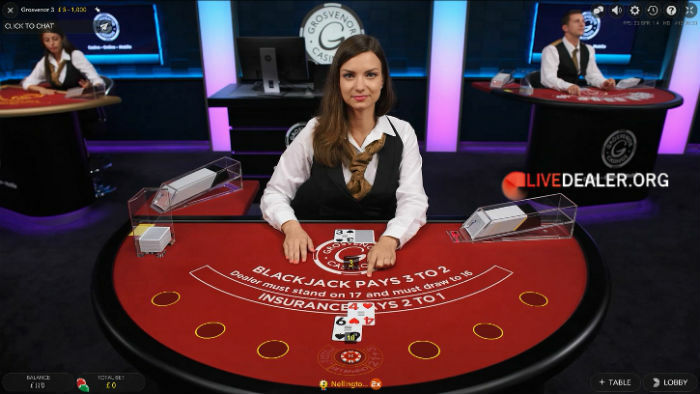 The Evolution Gaming live blackjack table choice is massive. 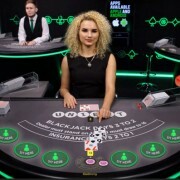 They house and live-stream tables from dealer studios located in Latvia, Malta, Romania, Georgia, Canada and Atlantic City USA. 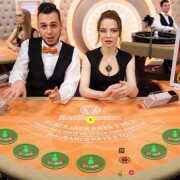 Despite the large and growing number of studio locations, game delivery is exceptional and playing interfaces are uniform no matter what table you are playing. 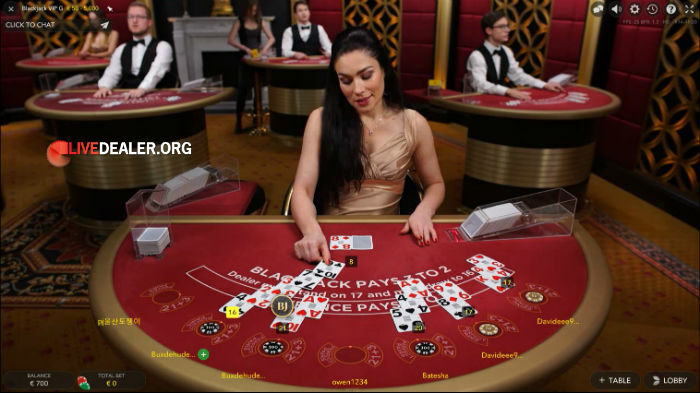 Players may find table limits on Evolution’s general access blackjack tables to be skewed a little to the higher side, and lower limit tables regularly full. 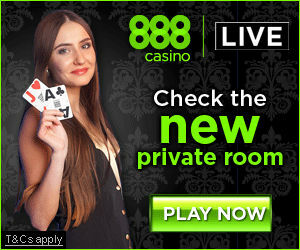 But fortunately most of their licensee casinos offer a large selection of low limit private tables as a solution to this. 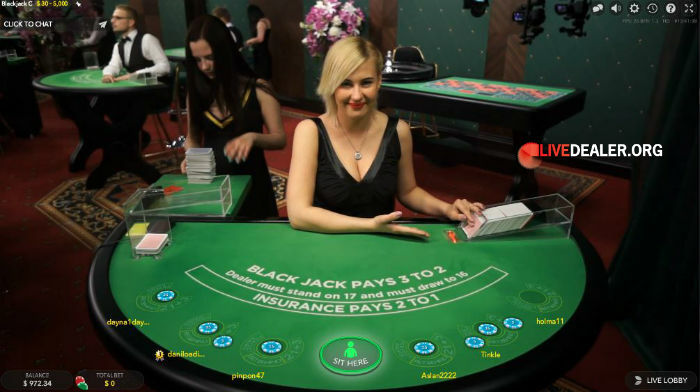 Key characteristics of Evolution’s blackjack tables are set out below. 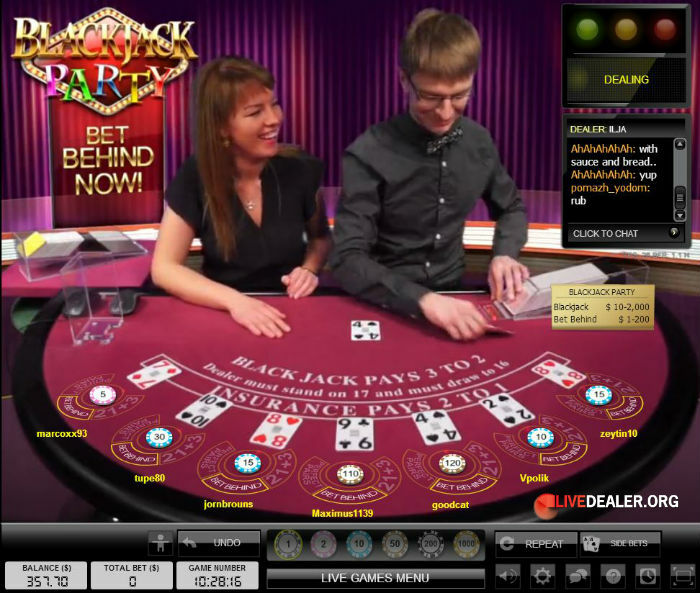 For a summary of tables from all providers, check our live blackjack page. 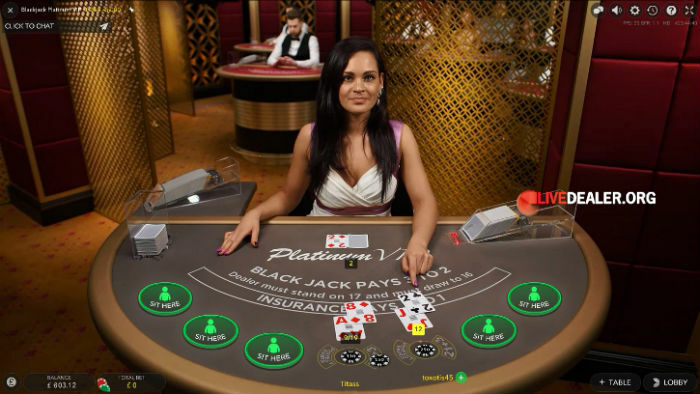 Almost all of Evolution’s blackjack tables are classic 7 seat tables, with the same house rules applying. 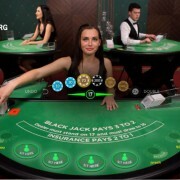 The one exception to this is their Infinite Blackjack table (details below). 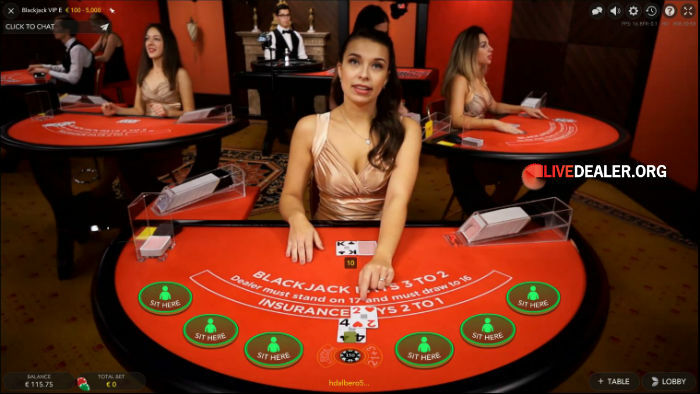 Infinite Blackjack: one-to-many live blackjack table. 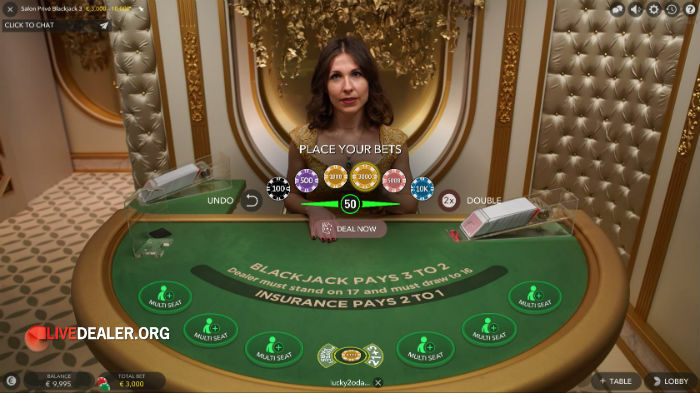 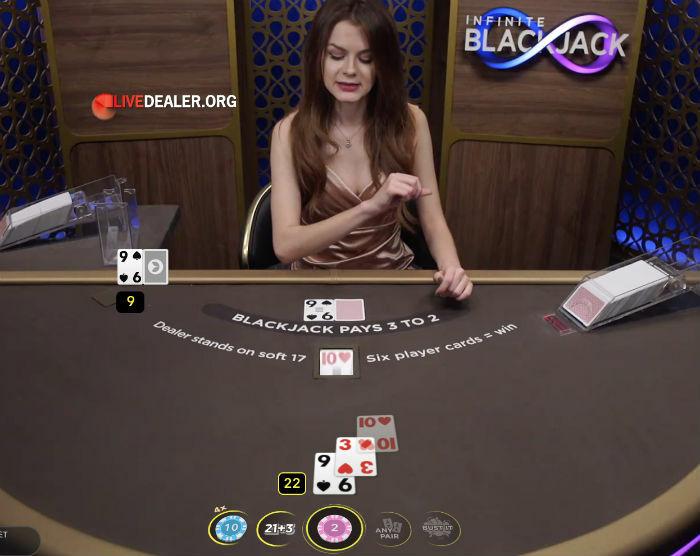 Evolution Gaming introduced Infinite Blackjack in October 2018. 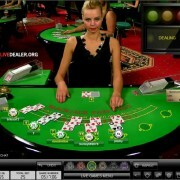 An unlimited number of players can play the singe deal on this table. 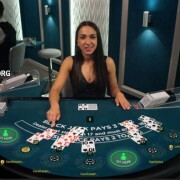 The main game house rules are the same as for all Evolution Gaming’s 7 seat tables (as outlined above), with one important exception: 6 Card Charlie rule applies. 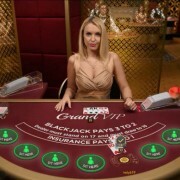 Under 6 Card Charlie, players win if they draw six cards without going over 21, even if the dealer has Blackjack. 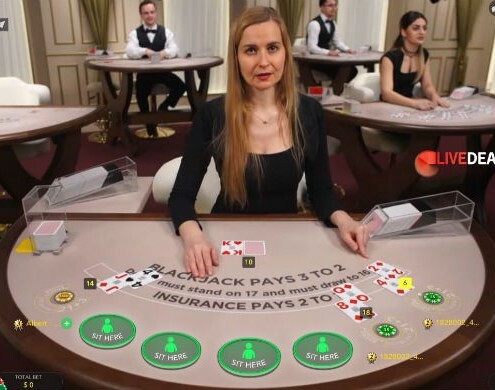 Infinite Blackjack also offers 4 optional side bets as indicated below. 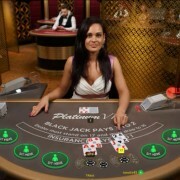 House rules are identical across all Evolution Gaming blackjack tables offered by all partner casinos. 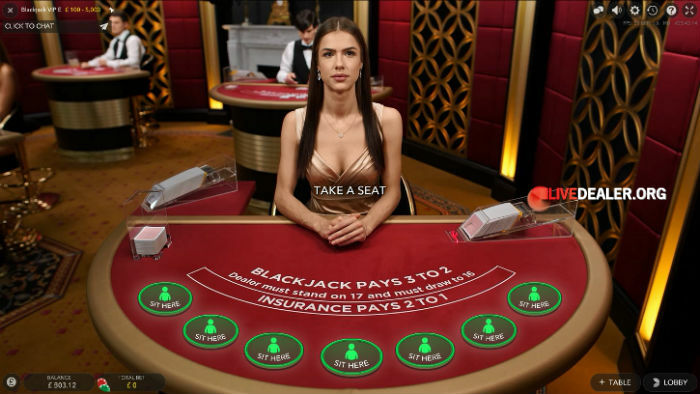 The key considerations therefore become seat availability and limit range (low minimums especially). 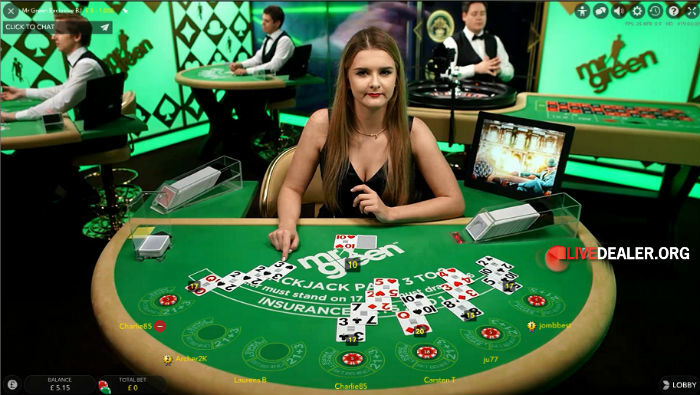 Beyond this studio ambiance availability/regularity of blackjack table giveaways/promos and presence of VIP hosts add to the playing experience. 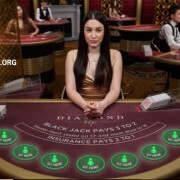 Depending on where you live, you may not be able to open an account at these casinos. 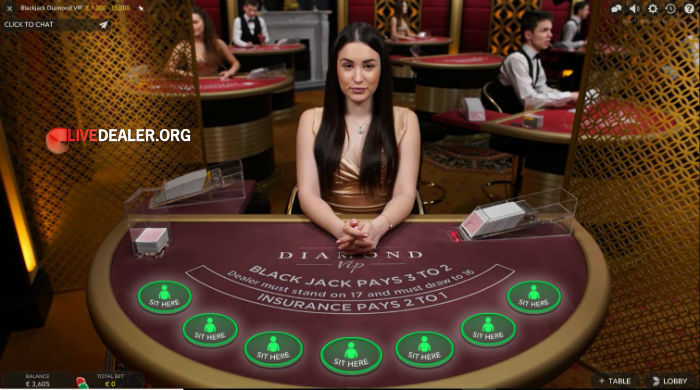 Check the live casino summary page for availability, and other Evolution Gaming casinos to play blackjack at. 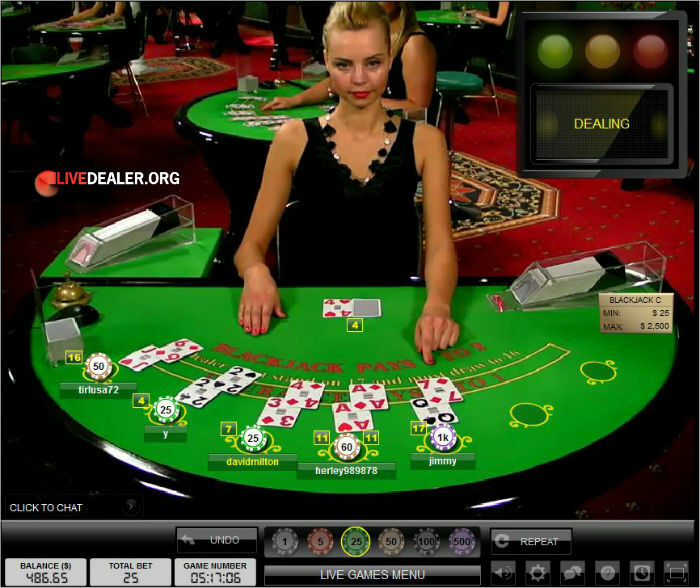 This is what Evolution Gaming live blackjack tables looked like back in 2009. 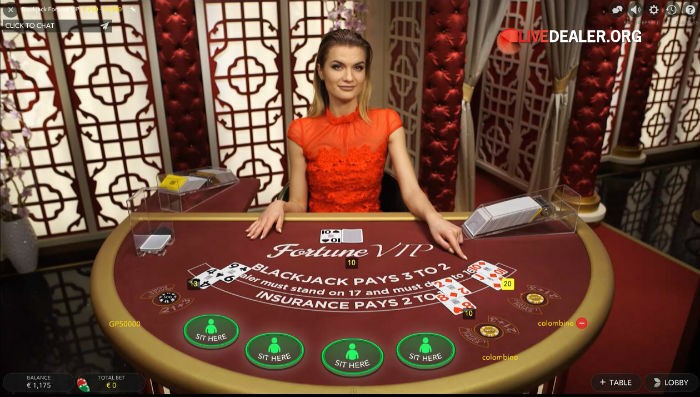 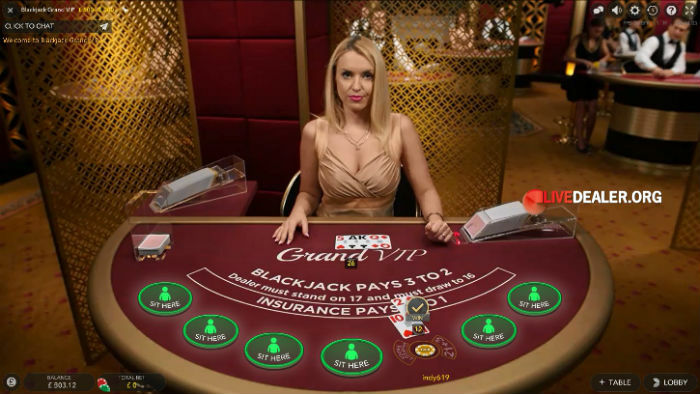 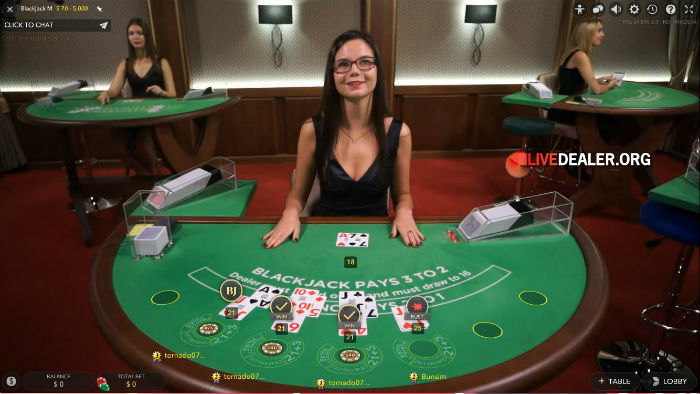 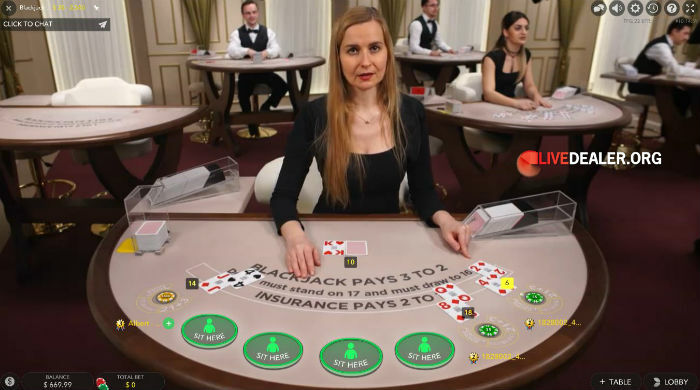 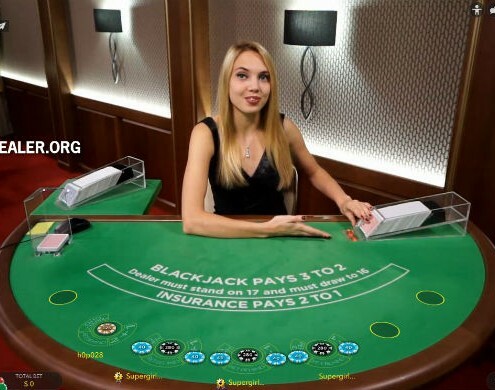 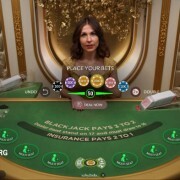 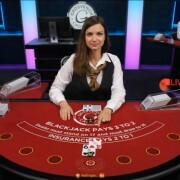 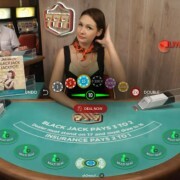 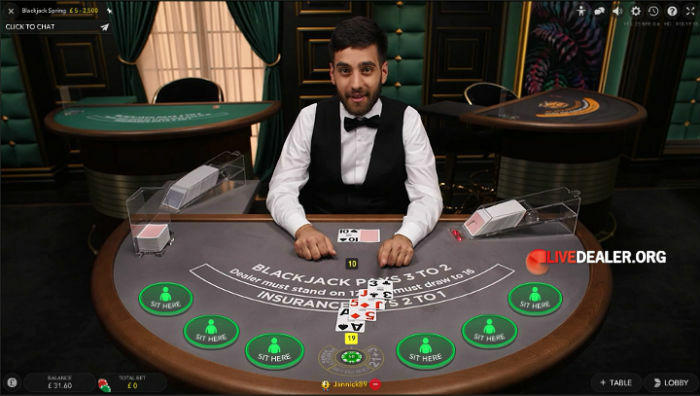 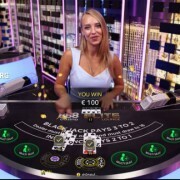 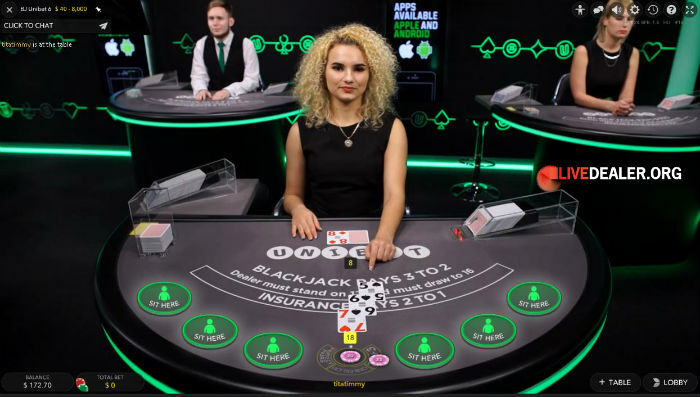 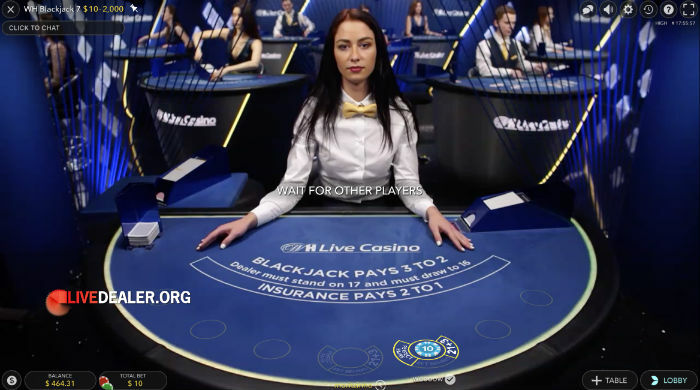 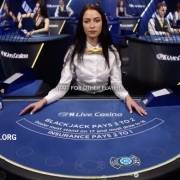 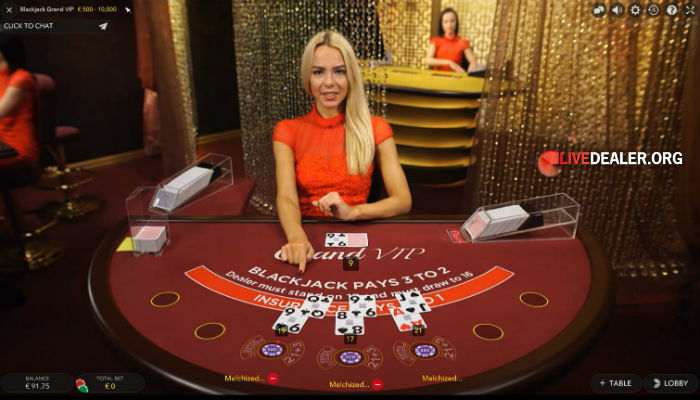 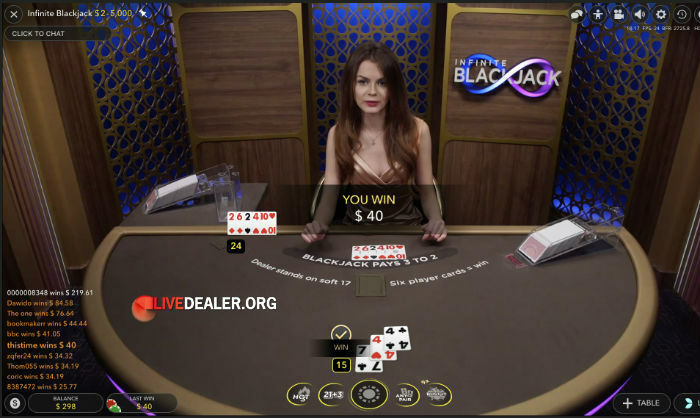 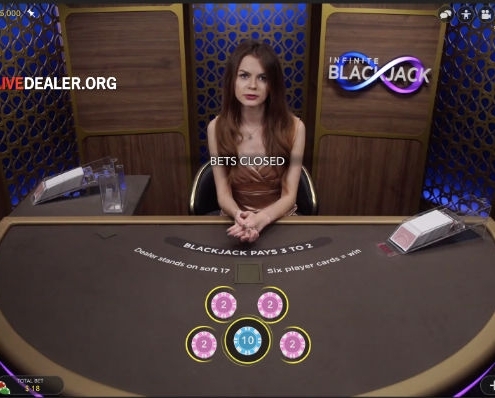 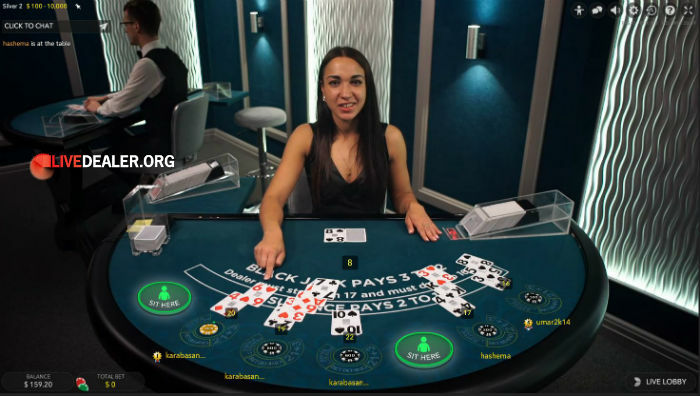 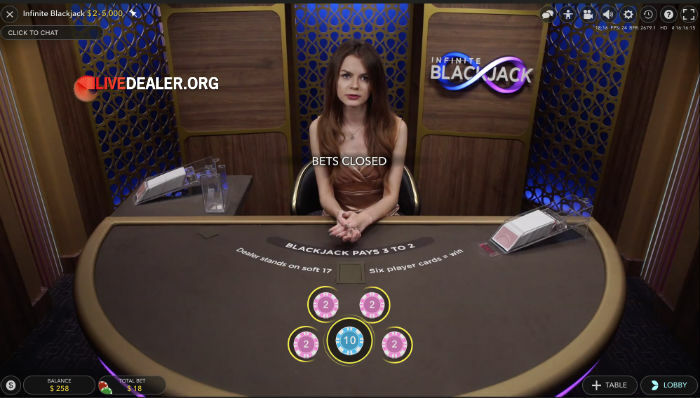 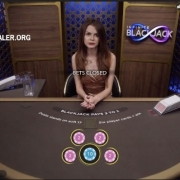 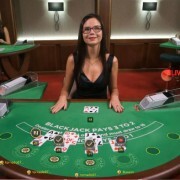 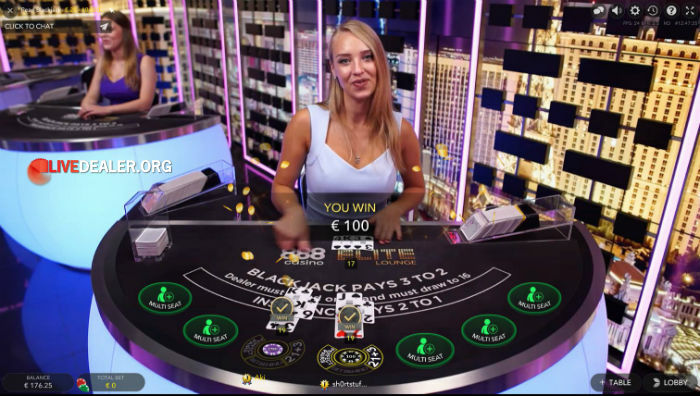 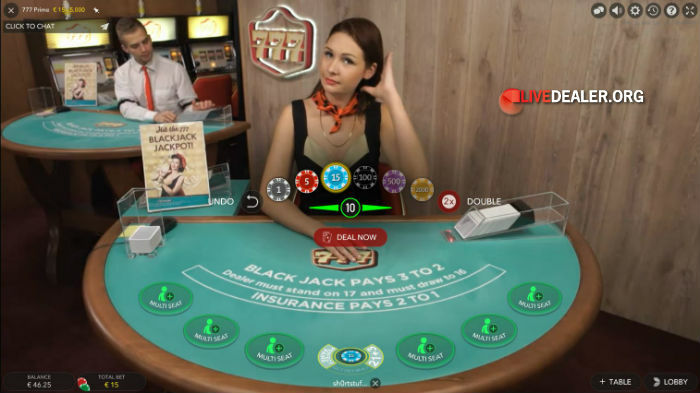 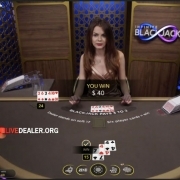 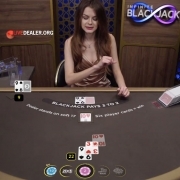 A multitude of standard limit blackjack tables from the floors of multiple Evolution Gaming studios (eg Latvia, Malta, Romania, Georgia), all live streamed in wide screen high definition format, with a uniform playing interface. 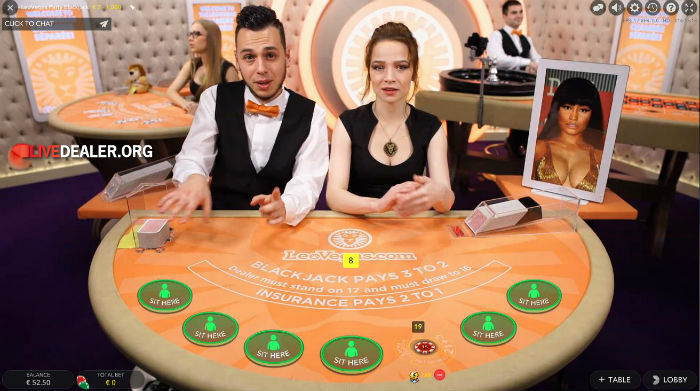 Evolution Gaming launched their Romanian dealer studio late 2016. 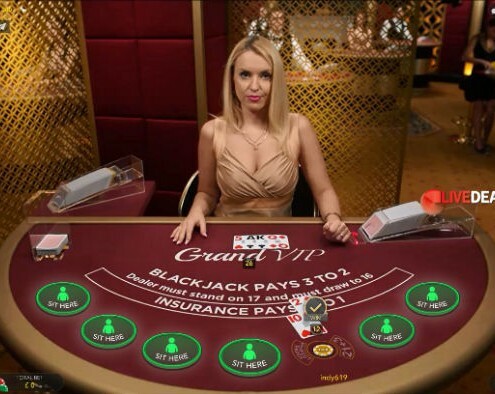 Since then it has expanded rapidly, with more than 10 blackjack tables on the floor, a number of them available 24/7. 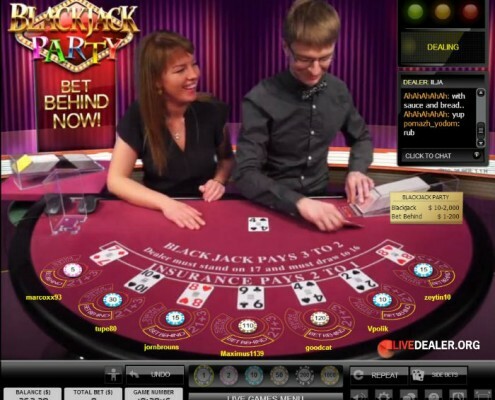 Novelty blackjack table with very low limits and a lot of zany chat. 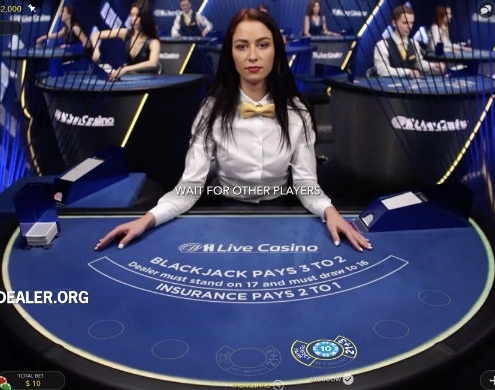 Chances are you’ll be betting behind as getting a seat can be tough. 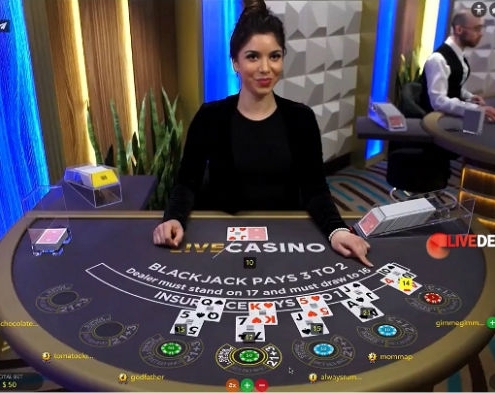 Infinite Blackjack is Evolution Gaming’s recently introduced (Oct 2018) one-to-many live blackjack table with a pretty cool physical to virtual card transition. 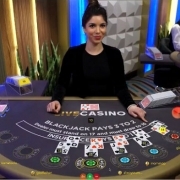 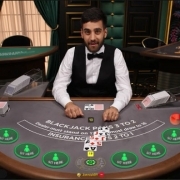 Blackjack tables from Evolution’s Vancouver, Canada dealer studio started taking bets in early 2018. 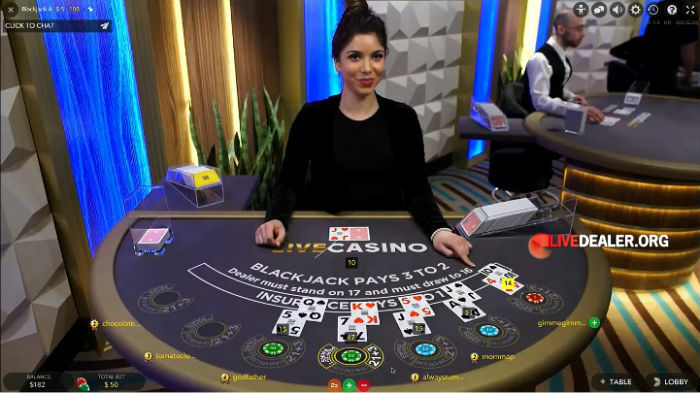 The studio was developed in partnership with the British Columbia Lottery Corporation (BCLC) with access initially limited to BCLC customers. 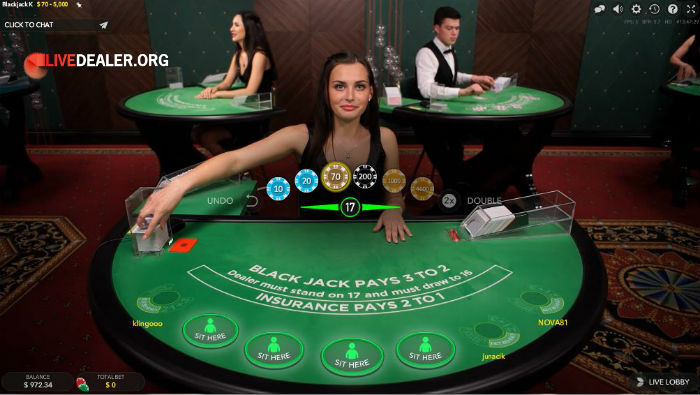 This is slated as a major studio with quite a few tables and expanded player access planned in the future.